Co. Tipperary: Ardmayle, Ballysheehan, Cashel (4), Clogher, Cloneen, Clonoulty, Drangan, Fethard (3), Gaile, Gracetown, Killenaule, Kilpatrick (2), Kiltinan, Knockgraffan (2), Magorban, Peppardstown, Tullemain. The Board also included 8 ex-officio Guardians, making a total of 32. The Guardians met each week on Tuesday. The population falling within the Union at the 1831 census had been 60,939 within divisions ranging in size from Gaile (population 1,533) to Cashel itself (12,582). The new workhouse, built in 1839-41, occupied a 7-acre site at the south of Cashel, at the junction of Cahir Road and Deer Park Road. Accommodating up to 700 inmates, its construction cost £5,500 plus £950 for fixtures and fittings etc. It was declared fit for the admission of paupers on 15th December 1841 and admitted its first inmates six weeks later on 28th January 1842. The site location and layout are shown on the 1903 map below. The workhouse building followed one of the standard designs by the Poor Law Commission's architect George Wilkinson, with a two-storey entrance block at the north of the site containing Guardians' board-room, clerk's office, porter's office and waiting room. 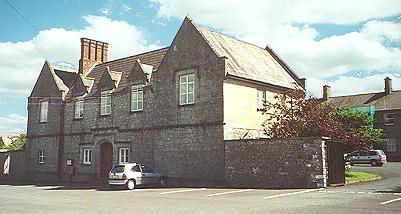 Cashel workhouse entrance block from the north-west, 2000. Behind the entrance block stood the main block, two-storey for most of its length with three-storey blocks at each end. The central part contained the Master and Matron's accommodation with the boys' schoolrooms to the west and girls' to the east. Above the schoolrooms were the children's dormitories. The end blocks contained wards for the old and infirm. Cashel workhouse main block from the north-west, 2000. To the rear were kitchens and wash-houses, then a single-storey connecting spine containing a dining hall and chapel. To the rear was the infirmary block and "idiot wards". Cashel chapel and infirmary block from the north-west, 2000. During the famine in the mid-1840s, the Union hired a house to accommodate an additional 130 inmates. A 44-bed fever hospital was erected which the 1903 map indicates may have been at a separate site to the north-east of the workhouse. The idiot wards were converted into convalescent wards. 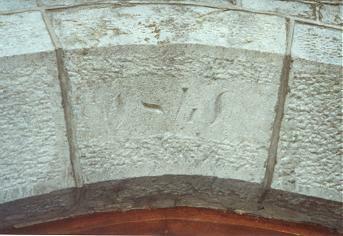 Cashel's famine victims were buried in St Mark's cemetery. 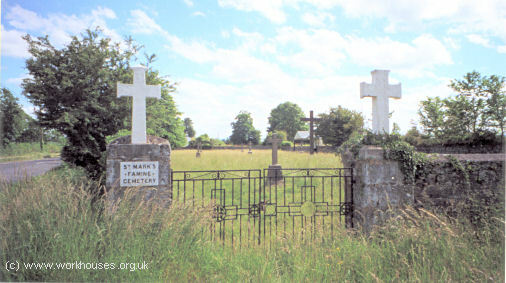 Cashel - St Mark's cemetery, 2000. At the 1901 census, the population of the Union was 20,182 with 21 officials and 284 inmates in the workhouse. Most of the original workhouse buildings survive in the shape of the present-day St Patrick's geriatric hospital.